The consensus number one ranked female flyweight in the world(at least to those that have been paying attention) has officially and finally joined the UFC roster. 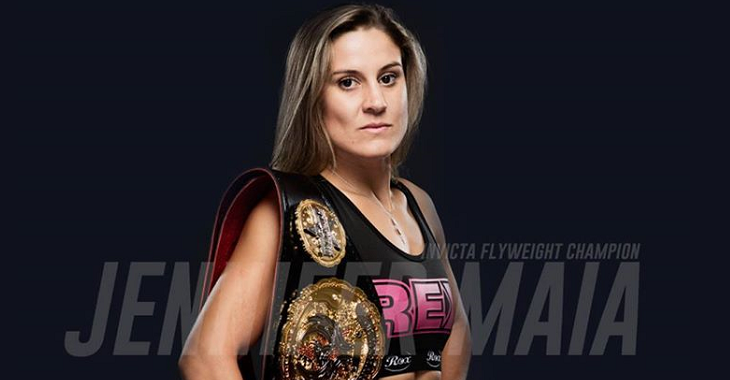 Invicta FC flyweight queen, Jennifer Maia made the announcement today on her Instagram page that she is now a UFC fighter. Everything in its time. Thanks for the love and messages from everyone, that is what motivates me more and more and makes me see that I am on the right path. Signing a contract with the big UFC organization is an accomplishment and accomplishment of all who are around me, I thank all the team that I have, through my will guide me to show a beautiful teamwork. I am very grateful also to all who gave me the opportunity to build my trajectory. Now, it’s a new beginning. As highly touted as the champion is, it’s safe to expect she will be fighting for the UFC title immediately or at the very least be just a fight away from a title shot. You never know with the UFC these days. With the addition of Maia, the UFC continues to gather up all of the incredible talents that 125-pounds has to offer and they still aren’t even close to filling out their pool of skilled athletes to it’s fullest. Regardless, they are working on it! And with what they have so far is a great start…and speaking of starts, Maia has to start somewhere. 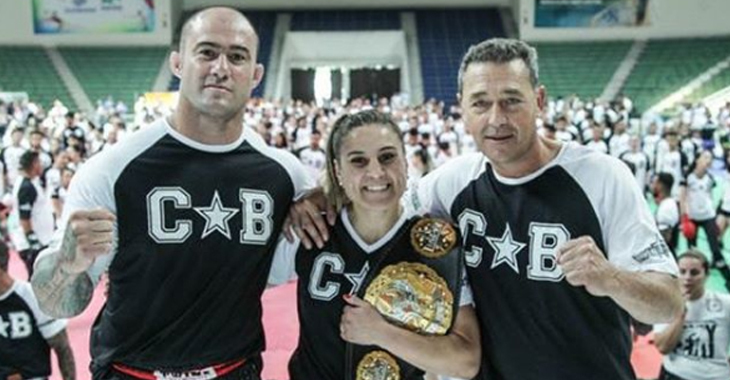 Here are the three most likely options for Jennifer Maia’s UFC debut. For LFA 125-pound champion, Andrea Lee, this would be her UFC debut as well. Lee has been signed to the UFC since September of 2017 and was supposed to make her debut at UFC 216 against Kalindra Faria. This didn’t happen because, during Lee’s time with Invicta, she failed a drug test for a diuretic and USADA has a rule that once an athlete enters the UFC if they have failed prior to their signing they must first be in the testing pool for six months before being able to compete. So here we are now…five months later. Lee should be eligible to compete at the end of next month which makes timings all line up perfectly. Andrea Lee is 8-2 in her MMA career and primarily known for her violent muay thai and kickboxing skills along with sneaky ability to submit. Many outlets have her ranked in their top 10s worldwide at flyweight and justifiably so. 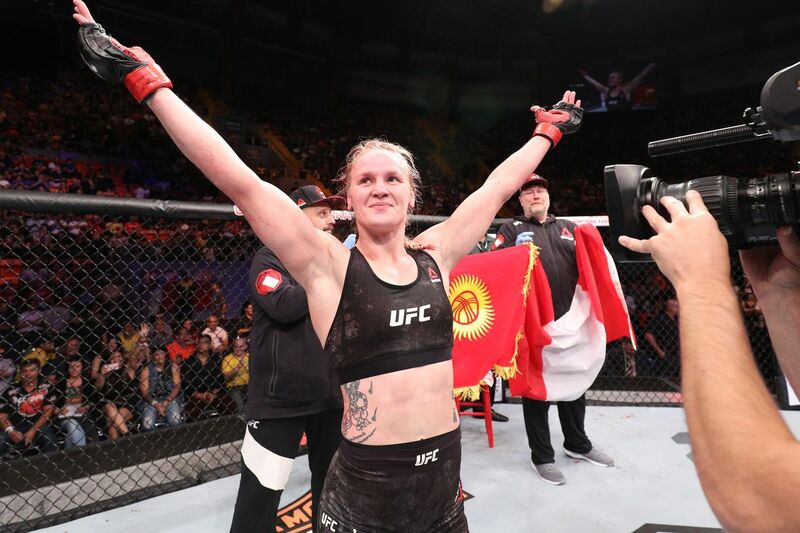 She’s on a four-fight winning streak that consists of three finishes(two submissions, one knockout) and it’s clear that the UFC wanted to give her some spotlight in her debut as they had her fight with Faria billed for the main card. But now what a better chance is there then to face the very best flyweight has to offer? The UFC could and would sell it as a high stake matchup which is fair because that’s what it would be. If Lee pulled it off, then she should definitely be in line for a title shot afterward. And stylistically, both are pretty similar which gives this matchup a very low chance of not being entertaining. Everyone seems to be saying that everyone is afraid to fight Valentina Shevchenko at flyweight…except for the flyweights themselves. Top 10 UFC contender, Jessica-Rose Clark has said she wants to fight for Shevchenko once she becomes champion. Then Maia, who was the original plan for Shevchenko instead of Priscila Cachoeira at UFC Belem, said she’s all for the fight. The timing was just off. The argument here is simple. The most likely case is that Shevchenko will be getting the first shot at the inaugural champion, Nicco Montano. Dana White even said so himself. What could prevent that? A mixture of two things. 1. The UFC still feels obligated to give Sijara Eubanks the shot she earned by competing on season 26 of The Ultimate Fighter. Eubanks made it to the finals and was supposed to be vying for the title against Montano but missed weight and was hospitalized, forcing her out. Because this was a weight issue…it’s hard to tell how willing the UFC would be to gift such an opportunity again. Especially considering we saw Eubanks struggle throughout the whole TUF 26 season with her weight. 2. Cachoeira was too easy. 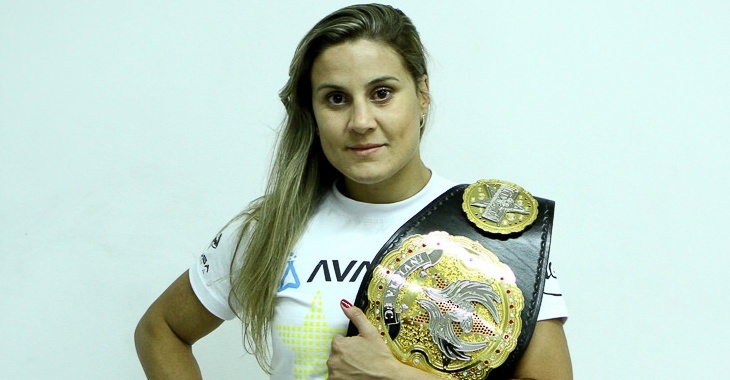 The facts are, Cachoeira had no business fighting Shevchenko. Especially for her debut. She was unranked and unknown and just because she was 8-0 doesn’t mean her level of competition was the best and made her a suitable option to be thrown directly to the top of the division. Which we saw… Therefore, this could be a factor meaning Shevchenko should fight a ranked opponent first then get a title shot. Meanwhile, we would assume that Eubanks gets her shot if Shevchenko and Maia get matched up. Maia vs Shevchenko is easily the best fight to be made at flyweight right now and it’s a fight we will inevitably see at some point, it’s just a matter of when. Eubanks vs Maia would probably be the most likely possibility if Eubanks would have fought and lost to Montano. But now she’s stuck in a very odd grey area with questions of whether or not she will even stay at 125-pounds. And if she does…one would imagine the UFC might not want to give her the toughest opponent right away. Now that’s assuming that Shevchenko gets the title shot over her. It really just depends on how the UFC wants to go about the title picture because right now the title shot will go to one of these three and i’ll list them in order of most likely to least: Shevchenko, Eubanks, Maia. Despite her status, Maia is a virtual unknown to the casual audience, much like Yana Kunitskaya who is heading into her UFC 222 title fight with Cris Cyborg. But unlike the featherweight division…flyweight has options. Whoever it ends up being that Jennifer Maia makes her debut against, make sure you tune in because you won’t be disappointed.